Ronen's Opening Survey: Anti-Grunfeld systems (7 part series). A15, A05: English opening, English opening with Qa4+. The Grunfeld Defense is one of those annoying openings that torment all 1 d4 players. After 1 d4 Nf6 2 c4 g6 3 Nc3 d5 Black immediately begins active operations in the center and, more importantly, forces White to memorize a labyrinth of variations if he hopes to have any real chance at walking away with an advantage. But have no fear as there’s one Anti-Grunfeld line - favored by Veselin Topalov, among others - that’s fast becoming a panacea for white with easy play and troubles for black, and that’s lines with 4 Qa4+. And in a new series of Ronen’s Opening Survey, our openings expert takes a look at these Anti-Grunfeld lines. Ronen's Opening Survey: Anti-Grunfeld systems (7 part series). A15, A05: English opening, English opening with Qa4+. 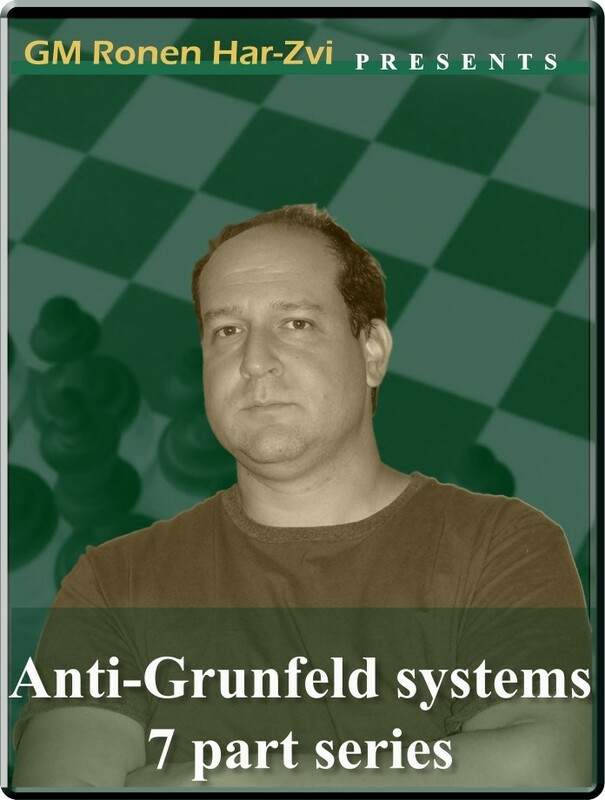 The Grunfeld Defense is one of those annoying openings that torment all 1 d4 players. After 1 d4 Nf6 2 c4 g6 3 Nc3 d5 Black immediately begins active operations in the center and, more importantly, forces White to memorize a labyrinth of variations if he hopes to have any real chance at walking away with an advantage. But have no fear as there’s one Anti-Grunfeld line - favored by Veselin Topalov, among others - that’s fast becoming a panacea for white with easy play and troubles for black, and that’s lines with 4 Qa4+. And in a new series of Ronen’s Opening Survey, our openings expert takes a look at these Anti-Grunfeld lines.